Ok, I am feeling adventurous today – maybe it’s the wisdom I feel because I’m a year older this week……. 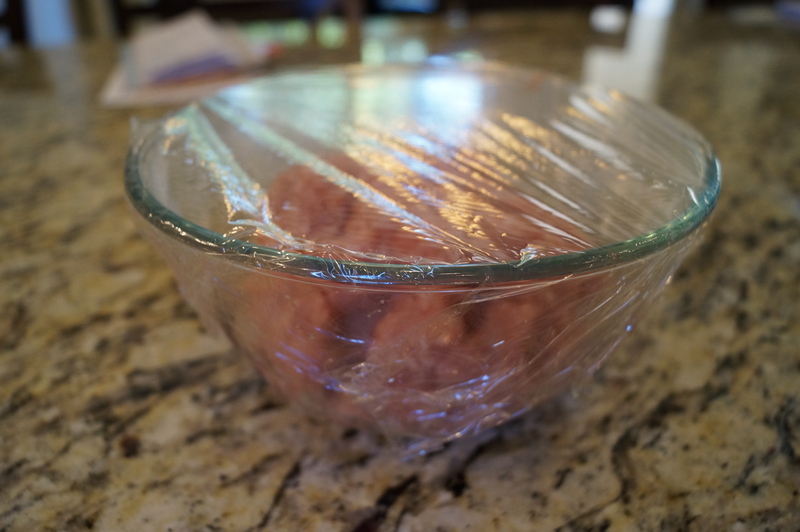 In any event – I am trying a recipe I found in bon appétit. Although I love reading this magazine – this will be the first recipe out of it that I have ever attempted. 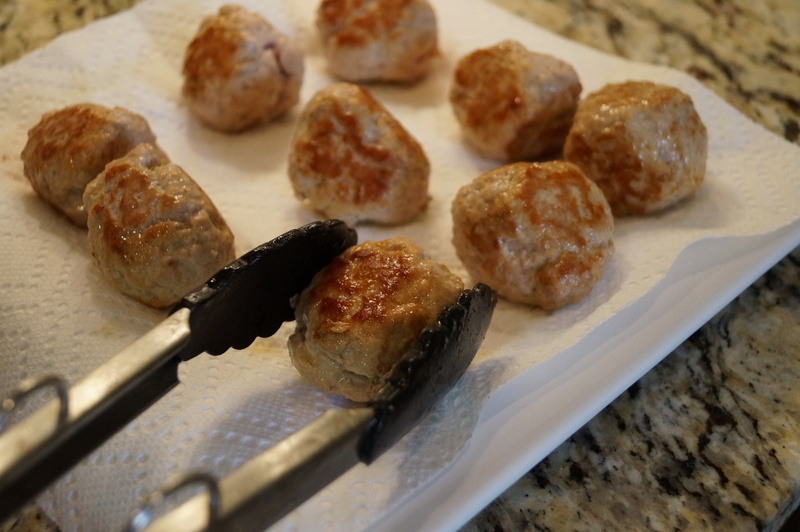 They are usually a little too involved, they include ingredients that are either too hard to find or too expensive or they are something that not a whole lot of people would have to eat on an average day. But alas, I found one that I thought would be a good fit for me and my family, especailly coming off our trip to Italy. I did change up a few things though. 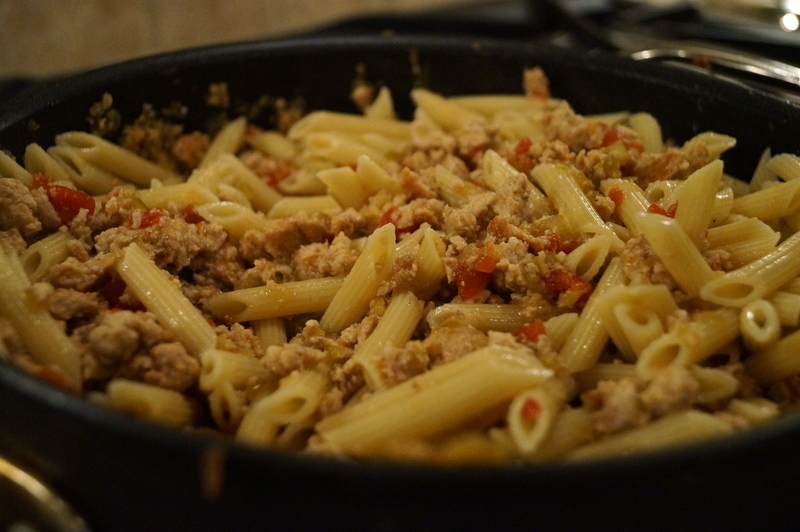 The first being the garganelli pasta which is a hand shaped egg based tubular pasta. Well, I’ll be using dried penne pasta. 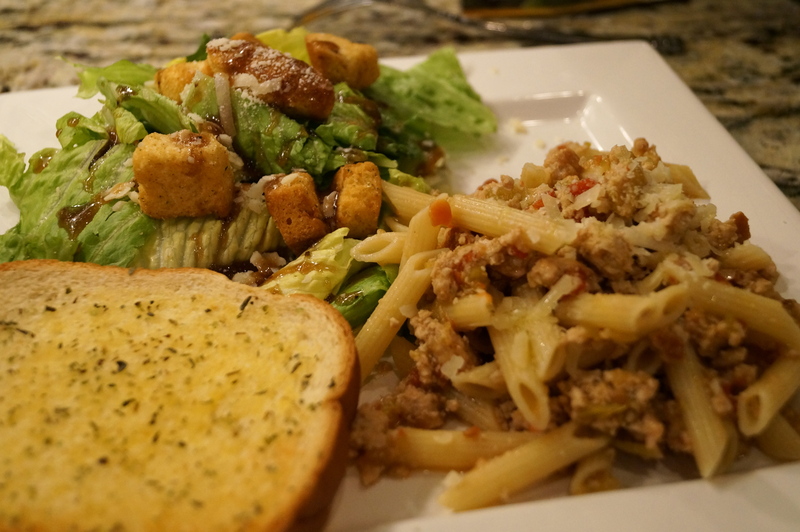 Also – I do not like the taste of fennel so I replaced that ingredient with celery which is common replacement because I’m one of many who is not of fan of the licorice flavor. So with that being said, here’s what we got. 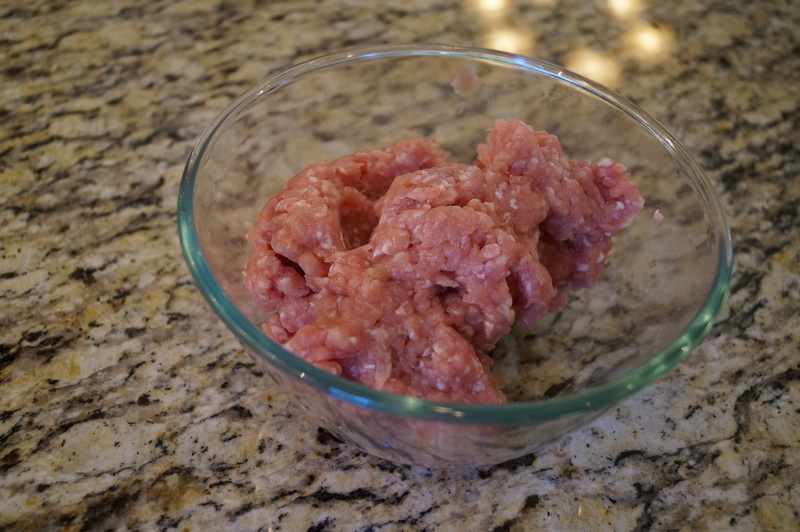 You start by mixing the pork and 1 tsp of salt by hands until sticky, cover and chill for at least 2 hours. 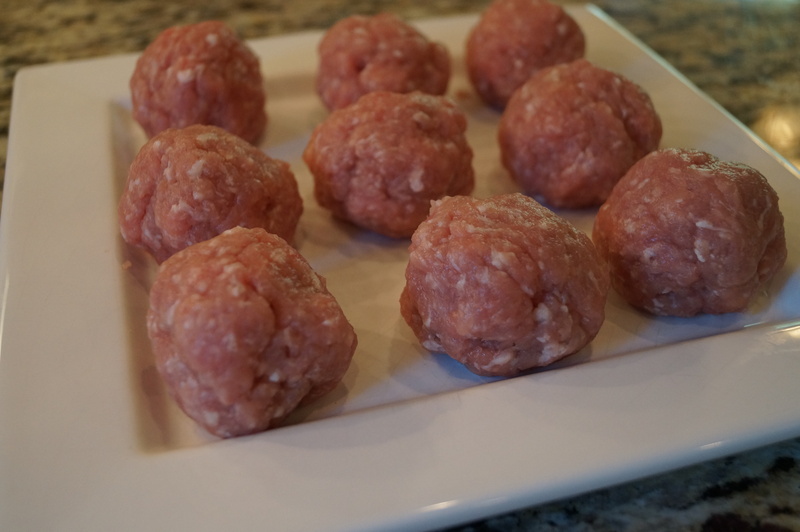 After chilling, roll pork mixture into 8-9 large meatballs (about 1/4 cup each). Heat olive oil in large, heavy, deep pan over medium-high heat. 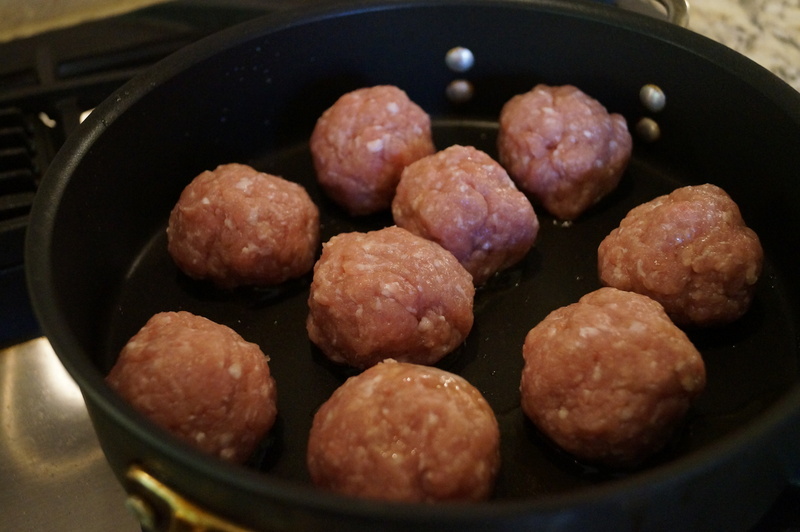 Cook meatballs until all sides are brown. Adjust heat so the brown bits on the bottom do not burn. 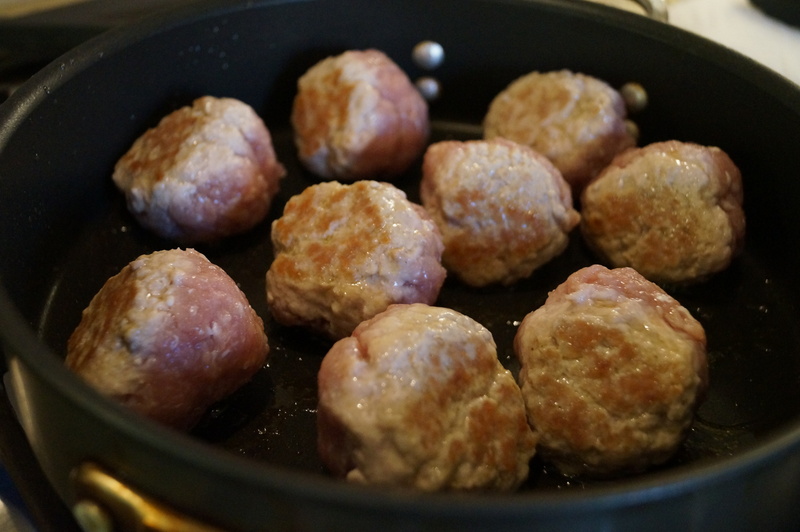 Drain meatballs on paper towel lined plate. 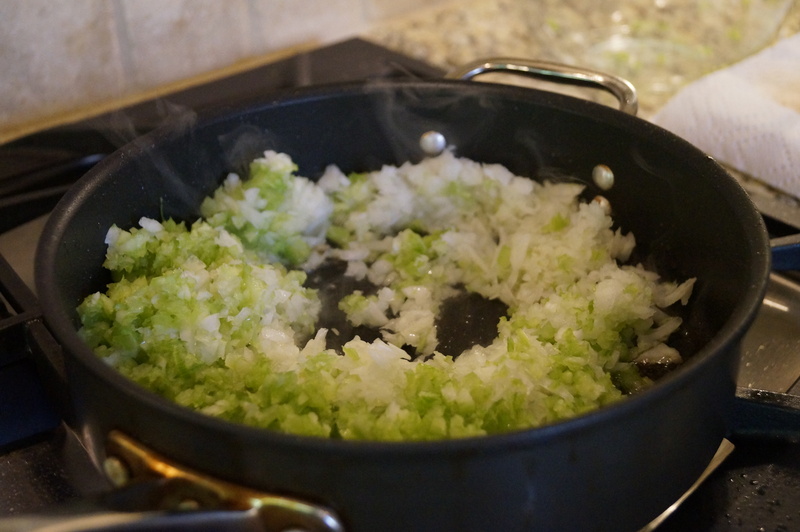 Reduce heat to medium and scatter celery, onion and garlic in pan. 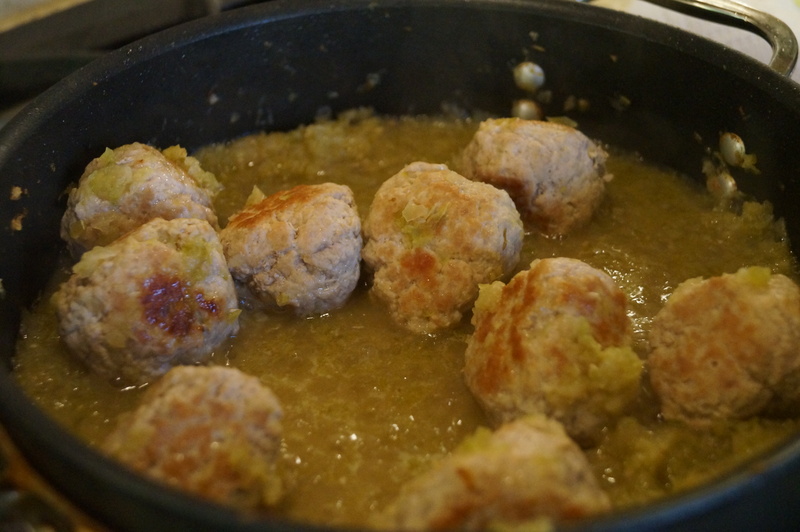 Return meatballs to pan and cook for about 25 minutes, stirring occasionally to prevent scorching, or until vegetables are translucent and juices have evaporated. 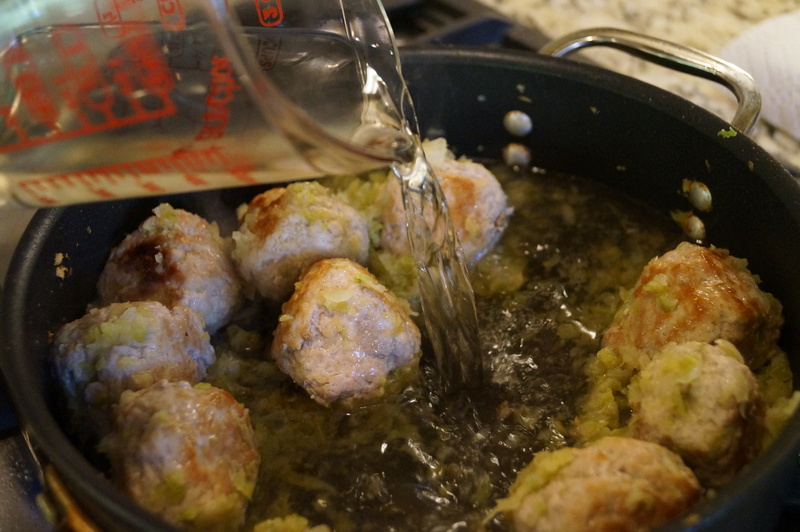 Add wine, scraping up browned bits from the bottom of the pan and bring to a simmer. 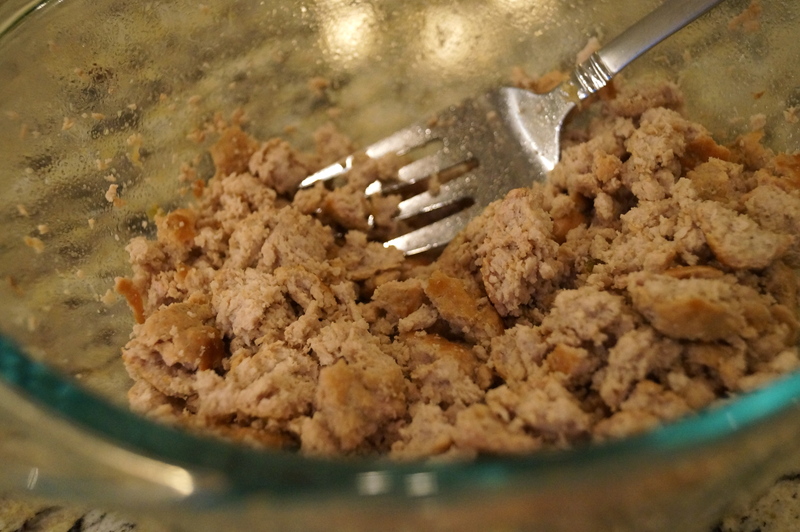 Cook for about 15 minutes or until the wine has reduced by 3/4. 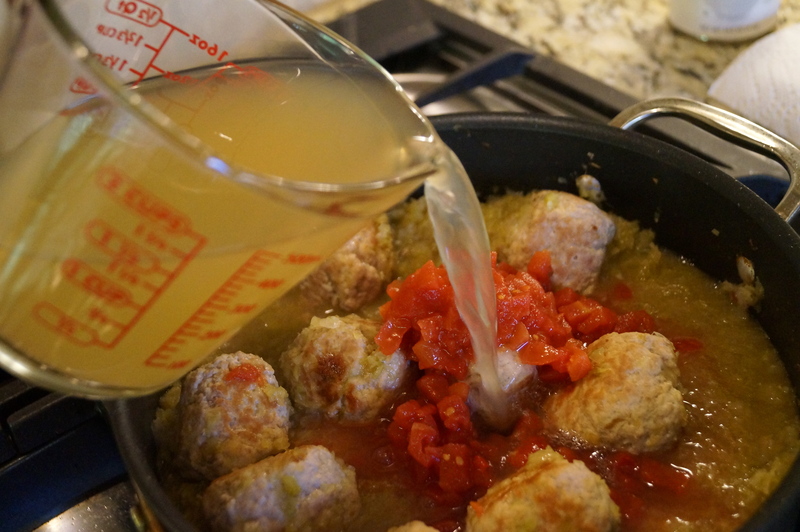 Add the chicken broth and tomatoes. Return to a simmer, once again scraping up brown bits. 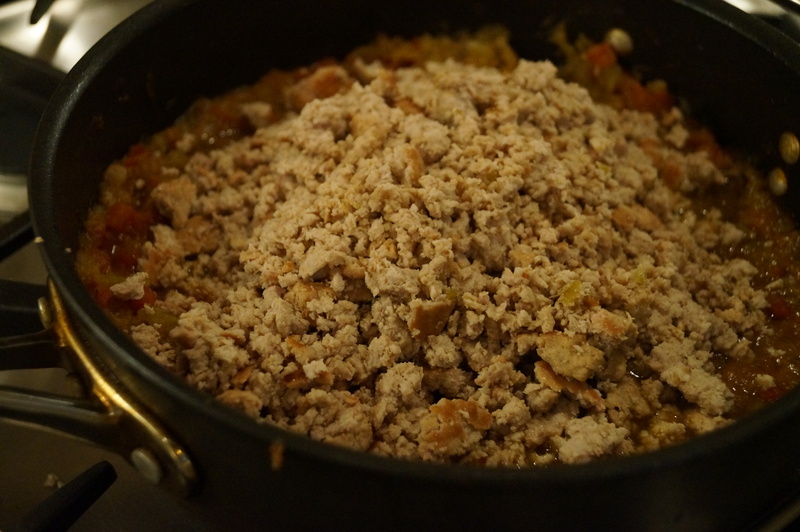 Continue to simmer with the lid slightly ajar for about 2½ hours, stirring occasionally. 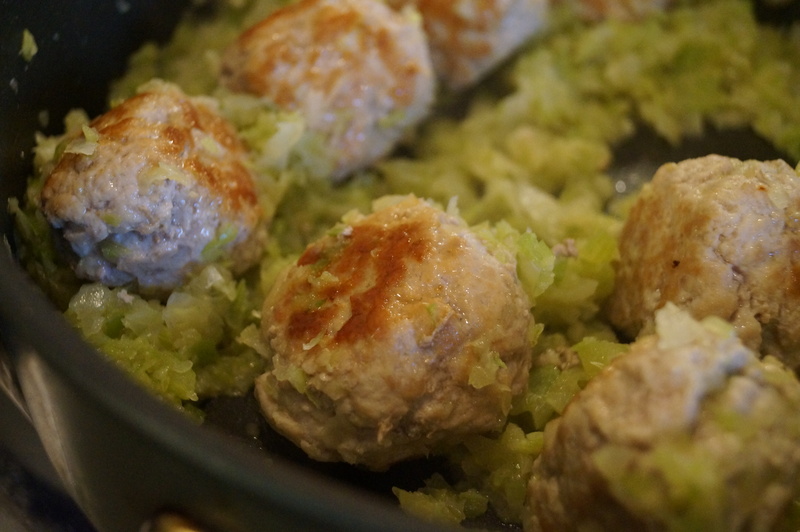 When finished cooking, remove meatballs and break up into small pieces and season with salt and pepper. Then return to pan. 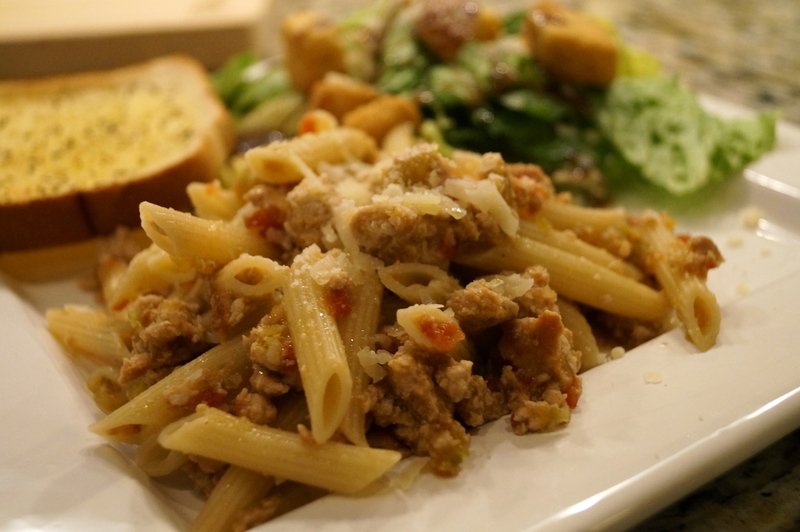 Add cook pasta to ragù, mix well. Serve topped with cheese and a drizzle of extra virgin olive oil. Such a hardy and unique meal. 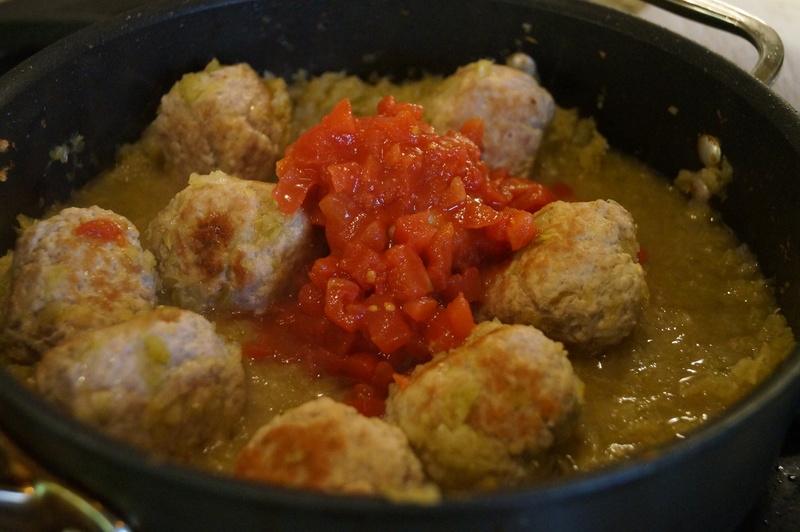 It tasted very authentic – and I can say that since I still can taste all that yummy food with had in Italy (more on that next week). This took a little time but it was well worth it! Hope everyone has had a great week! TGIF!!!! I am SO glad you enjoy it!! I’m a visual person too – that’s why I chose to include pictures with the instructions! Thanks for your comment!